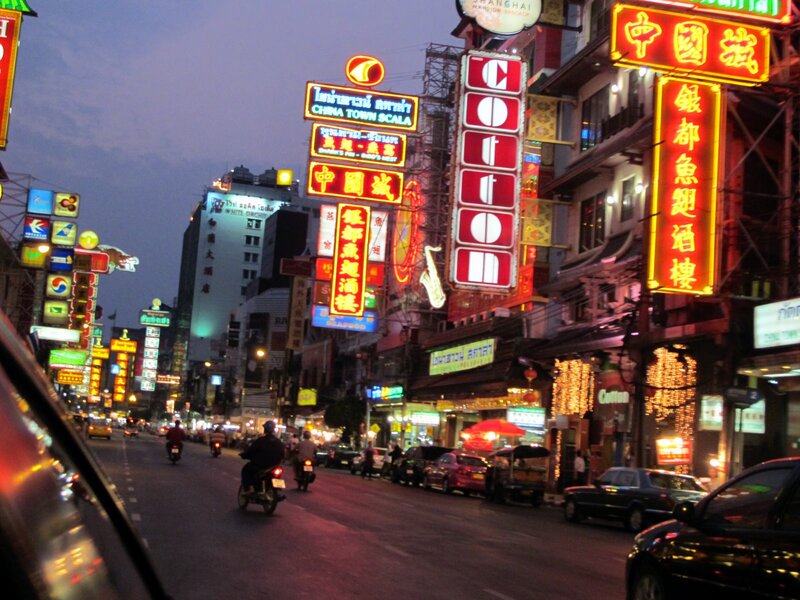 Bangkok’s Chinatown is a popular tourist attraction and a food haven for new generation gourmands who flock here after sunset to explore the vibrant street-side cuisine. At day time, it’s no less busy, as hordes of shoppers descend upon this 1-km strip and adjacent Charoenkrung Road to get a day’s worth of staple, trade gold, or pay a visit to one of the Chinese temples. 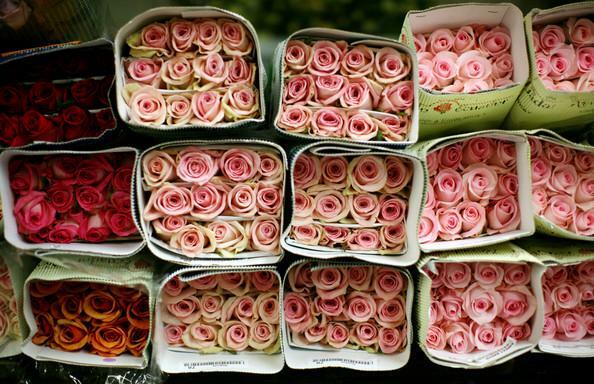 Close to Chinatown, Pak Khlong Flower Market is the biggest fresh flower market in the city. This is where flower traders from all over the country convene at the wee hours of each day to unload their freshly cut blossoms in bulk. 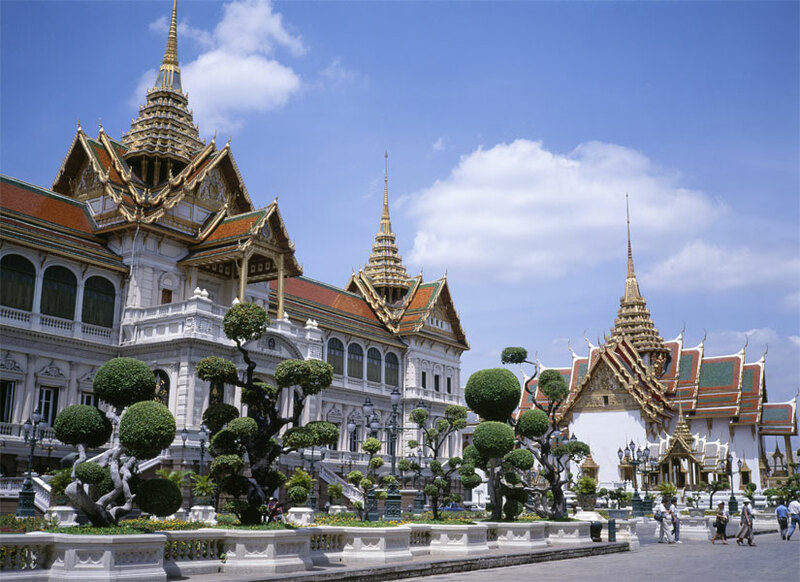 “The Grand Palace is a truly amazing architectural construction. It is a large complex covering an area of 218,000 square meters which was built in the early years of Chakkri dynasty. The complex consists of four large groups of building serving different royal functions. The first one is the Wat Pra Keaw a royal religious temple. The second is the royal ceremonial complex containing the Chakri Maha Prasat Hall. The third is the royal residence and guest residence, the Borom Phiman Mansion. This is a private zone not a tourist area. The forth is the staff and governmental offices. There are plenty of tour guides to give visitors historical aspects of this beautiful palace. Bangkok’s Chinatown is a popular tourist attraction and a food haven for new generation gourmands who flock here after sunset to explore the vibrant street-side cuisine. At day time, it’s no less busy, as hordes of shoppers descend upon this 1-km strip and adjacent Charoenkrung Road to get a day’s worth of staple, trade gold, or pay a visit to one of the Chinese temples. Close to Chinatown, Pak Khlong Flower Marketis the biggest fresh flower market in the city. This is where flower traders from all over the country convene at the wee hours of each day to unload their freshly cut blossoms in bulk. The Grand Palace is a truly amazing architectural construction. It is a large complex covering an area of 218,000 square meters which was built in the early years of Chakkri dynasty. The complex consists of four large groups of building serving different royal functions. The first one is the Wat Pra Keaw a royal religious temple. The second is the royal ceremonial complex containing the Chakri Maha Prasat Hall. The third is the royal residence and guest residence, the Borom Phiman Mansion. This is a private zone not a tourist area. 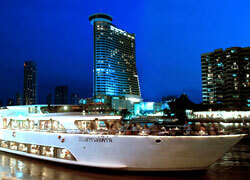 Experience the Chao Phraya River by candlelight with this dinner cruise on the luxurious Grand Pearl. After being welcomed onboard with warm smiles and cocktails, you'll be awed by the architectural beauty of passing riverside sights like Wat Arun, the Grand Palace and Wat Pra Kaew. After dining on a lavish Thai and international buffet, relax under stars and moonlight. A live band will perfect the mood, before you reach Rama VIII Bridge and turn back for one last glimpse at Bangkok's time -honoured temples.